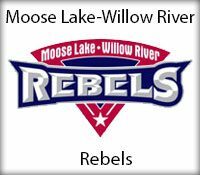 On Monday night Greenway Raider’s 3rd year coach Ryan Wright took his team to Moose Lake to take on first year head coach Padrick Judd and the MLWR Rebels. The Rebels came out strong by posting a 33-17 halftime lead. Despite the tough defensive play by Baylee Jo Norris who had several steals the Raiders just could not battle back in the second half. Leading scorers for MLWR were Natalie Mikrot with 15 and Charis Blacklock with 11. The leading scorer for the Raiders was Jadin Seville with 10. With the 58-38 home win the Rebels improve to 10-7 while the Raiders fall to 8-9.